Saint Anthony Messenger answers questions about the origins of the next two days on the Christian calendar. The following are excerpts from the Saint Anthony Messenger report. Been gone for a couple of days due to some technical difficulties. All seems back to "normal" again. The readings this Sunday invite us to reflect on some basic features of the Christian family. 1. First: the family prays. The Gospel passage speaks about two ways of praying, one is false - that of the Pharisee - and the other is authentic - that of the tax collector. The Pharisee embodies an attitude which does not express thanksgiving to God for his blessings and his mercy, but rather self-satisfaction. The Pharisee feels himself justified, he feels his life is in order, and he judges others from his pedestal. The tax collector, on the other hand, does not multiply words. 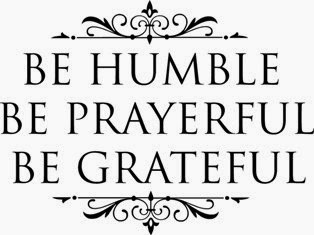 His prayer is humble, sober, pervaded by a consciousness of his own unworthiness, of his own needs. 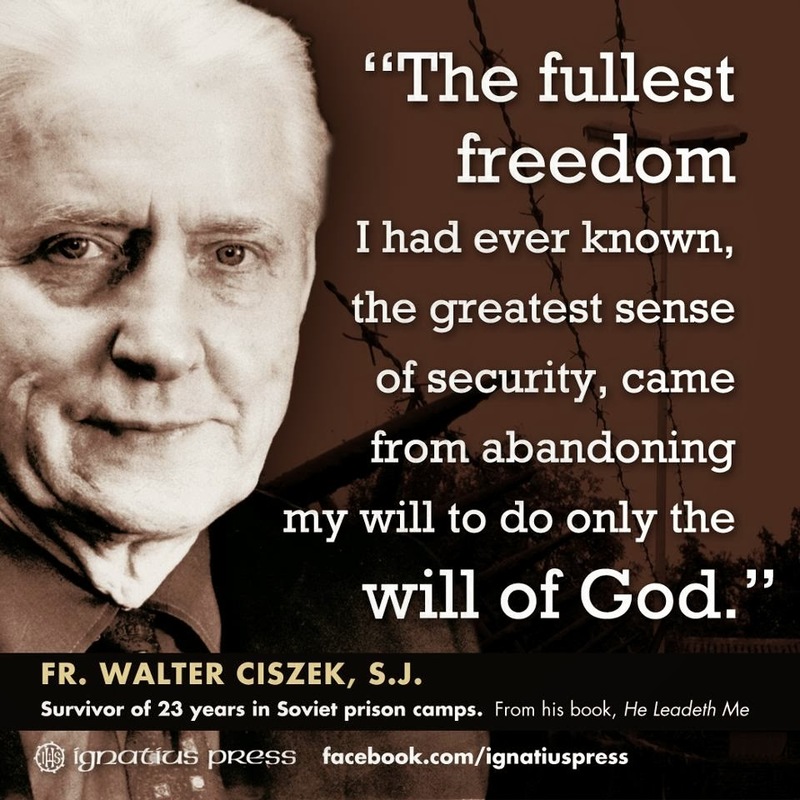 Here is a man who realizes that he needs God's forgiveness. The prayer of the tax collector is the prayer of the poor man, a prayer pleasing to God. It is a prayer which, as the first reading says, "will reach to the clouds" (Sir 35:20), unlike the prayer of the Pharisee, which is weighed down by vanity. In the light of God's word, I would like to ask you, dear families: Do you pray together from time to time as a family? Some of you do, I know. But so many people say to me: How can we? 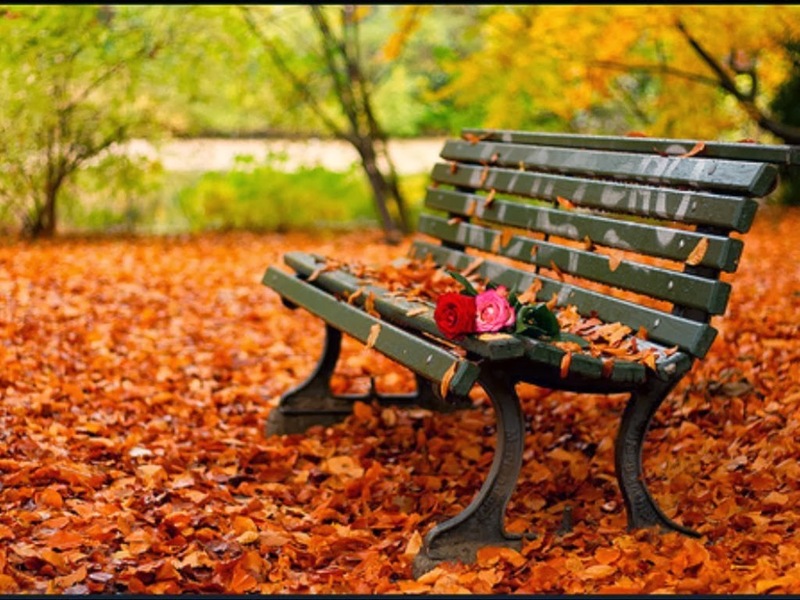 Prayer is something personal, and besides there is never a good time, a moment of peace. Yes, all that is true enough, but it is also a matter of humility, of realizing that we need God, like the tax collector! And we need simplicity! Praying the Our Father together, around the table, is something all of you can do. 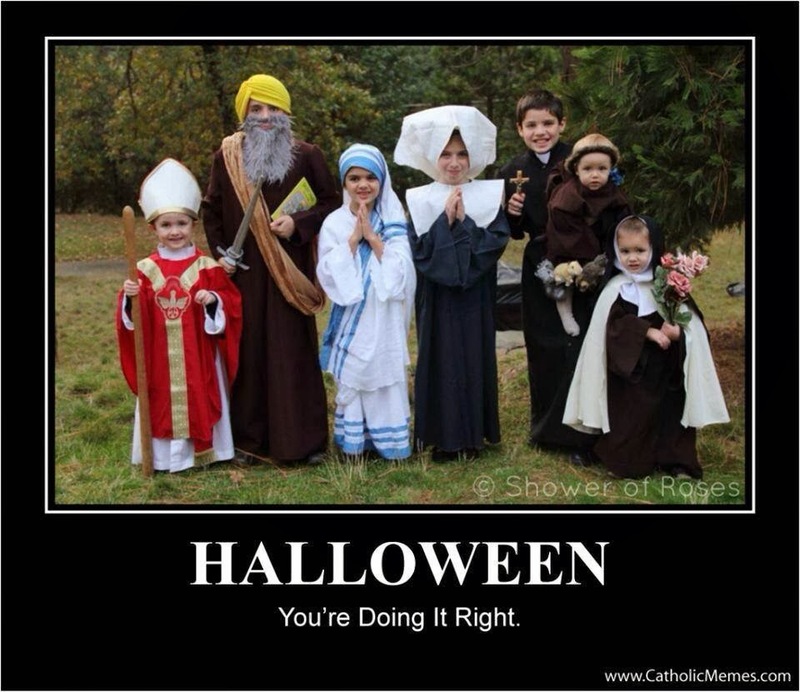 And praying the Rosary together, as a family, is very beautiful and a source of great strength! And praying for one another! 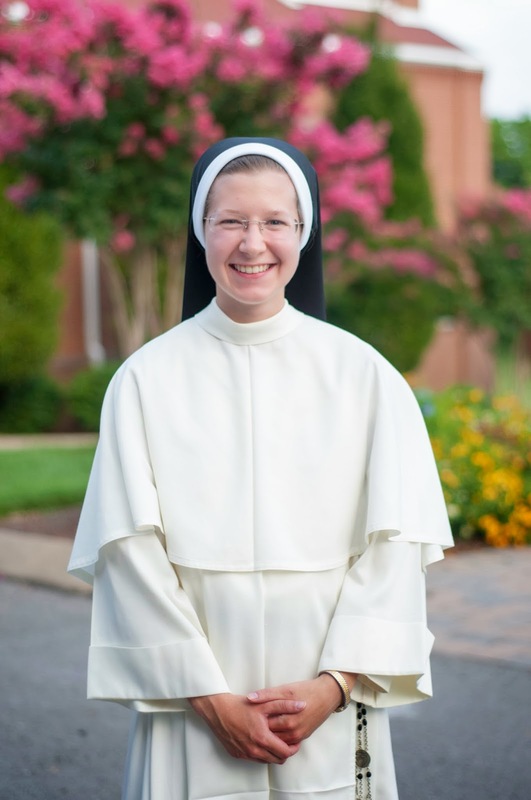 We are called the Society of Mary and it is in her name that we embrace the vowed religious life through poverty, chastity, obedience, and stability. The last vow, stability, is both a dedication to our spiritual mother and a call to assist her in her mission of bringing Jesus every day into the world. The Incarnation began all of this central role of Jesus in our salvation history and the plan of God. We have several expressions from the New Testament that help us focus on the role of Mary in our lives. At Cana we hear her saying to us, “Do whatever he (Jesus) tells you.” We also have the motto “Be strong in faith” (Fortes in Fide) and the cor una et anima una from the Acts of the Apostles. We see Mary gathered with the first assembly of believers including the apostles in the upper room in Jerusalem or Mount Zion. 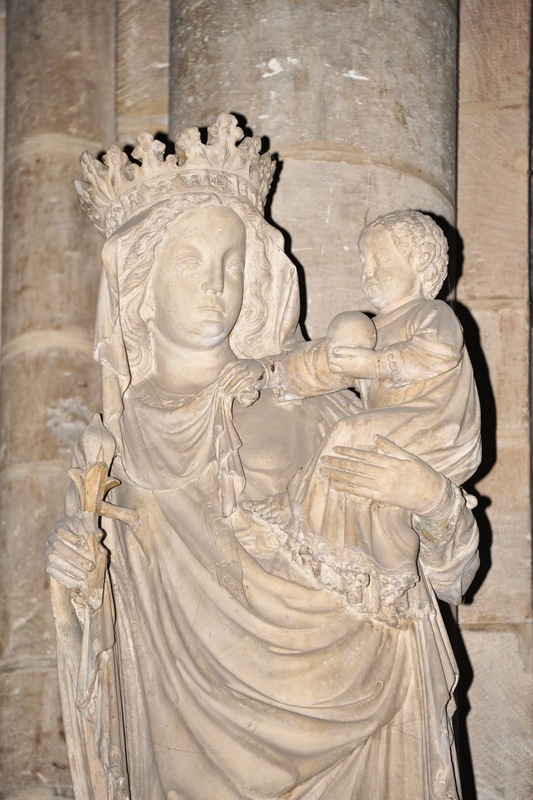 Mary is seen as a Daughter of Zion. She is Jewish all the way through her life and is honored in the Qur’an over forty times and also mentioned in every Gospel of the New Testament and in Galatians, Acts, and Revelation 12. Chapter one of our Rule of Life gives us a beautiful section on Mary from her beginnings to her glorious Assumption and crowning in heaven. We see Mary as the first disciple of the Lord and as our Leader, hence, another motto “Maria Duce” that is, Mary as Leader. We are dedicated to making her better known, loved, and served. 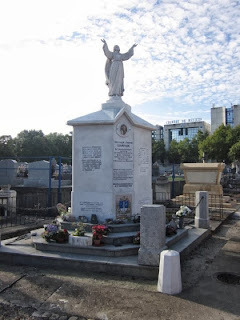 We never adore her or give her a rank among the persons of the Trinity. She is totally human and it from her flesh and blood that the Son of God became man for our salvation. We do not rely simply on Scripture for knowledge of her, but on Tradition, History, and the teachings of the Church (Magisterium). Our founder, Blessed William Joseph Chaminade, tells us “You are all missionaries of Mary” and we are willing to go wherever we are sent. We know she is more than a disciple of Jesus; she is his mother, his teacher; she is called woman, virgin, and disciple for she has all the characteristics of a disciple. She is his first and most faithful disciple “from the cradle to the grave.” She fulfills all of the beatitudes and that is why she is called “Blessed Virgin Mary.” She is the happy and blessed woman who shows us the beatitudes in action. By the gift of faith, the Virgin Mary opened herself to the mission the Father gave her in his plan of salvation. Jesus was formed in her by the Holy Spirit. He willed her to be the promised Woman, sharing in all his mysteries. When his hour had come, he proclaimed her our Mother. 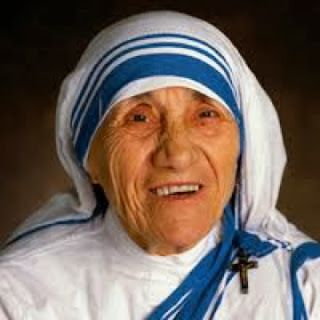 "We are not really social workers," said another Nobel Peace Prize winner, Blessed Teresa of Calcutta. "We may be doing social work in the eyes of people. But we are really .... touching the body of Christ." 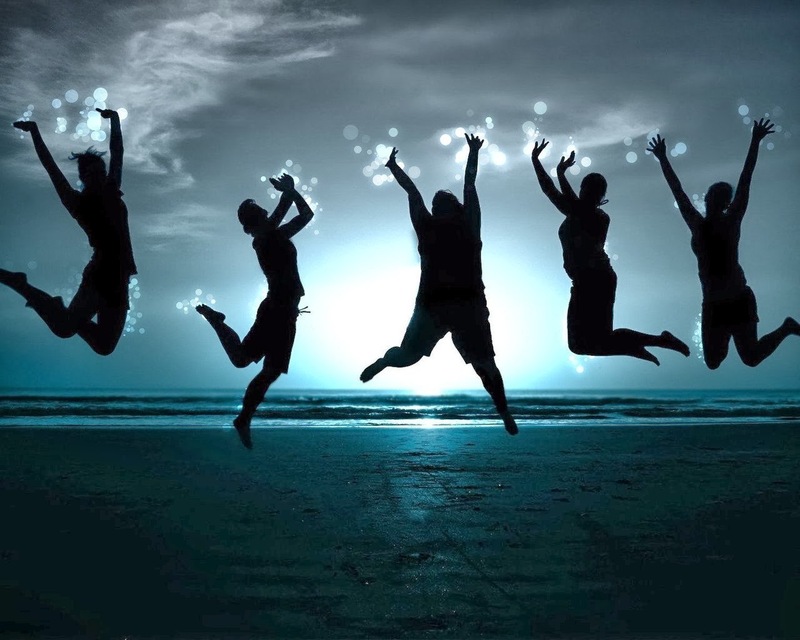 Whenever we share love and peace and joy with others, we are touching the body of Christ in the world today. This is the heart of what it means to keep the faith as we strive to do good in our relationships with family members, coworkers and neighbors in need. "It is not how much we do, but how much love we put in the action that we do," stressed Mother Teresa. "If we could only remember that God loves us, and we have an opportunity to love others as he loves us, not in big things, but in small things with great love." The crown of righteousness is given to those who fight the good fight, finish the race and keep the faith. The heavenly prize is awarded to all who put love into action - not necessarily in big things, but in small things with great love. So let's dust off our dancing shoes. Get ready for the heavenly banquet. The Noble Prize is coming, and someday, our name's going to be called. And then Pope Francis spoke of “abundance”. Where sins abound – he said – grace abounds. Each of us knows his miseries and knows how they abound. But God’s challenge is to defeat them and heal the wounds as Jesus did with His superabundance of grace and love. 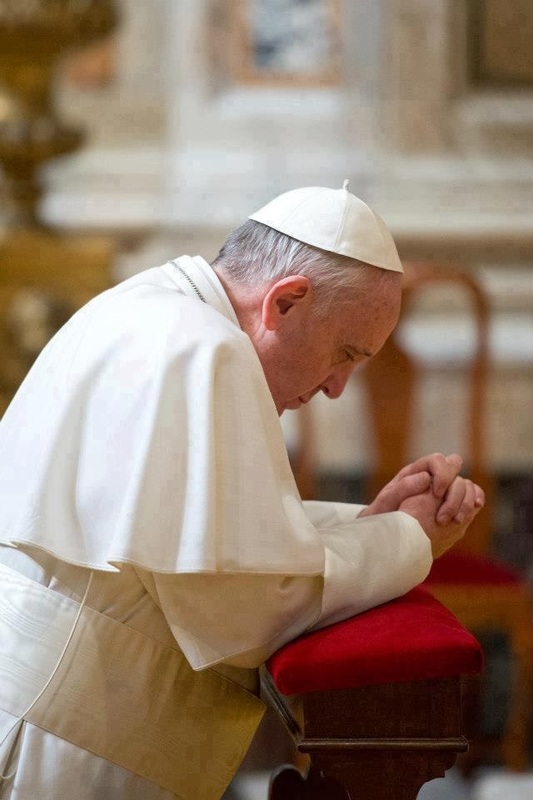 And Francis pointed out that although some do not like to admit it: those who are closest to the heart of Jesus are sinners, because He goes to look for them, calls them and heals them, while those who are in good health do not need a doctor: “ I have come to heal, to save." The Pope concluded his homily reflecting on how some saints say that one of the ugliest sins is distrust: distrust in God. “But how can we be wary of a God who is so close, so good, who prefers the sinful heart ?" . 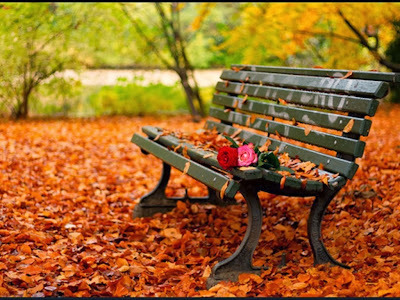 This mystery – he said - is not easy to understand with intelligence, but with the help of these three words: "contemplation, proximity and abundance” because God "always wins with the superabundance of his grace, with His tenderness ", with His wealth of mercy." My friend, Father Bob Barron, one of the nation’s premier evangelists today, puts it like this: if a foreign visitor asks you to explain the complicated game of baseball, you would hardly start with the “infield-fly rule”! No! You would first introduce him to the beauty, rhythm, and flow of the game! Father Barron suggests he would take him instead to Wrigley Field, gradually introduce him to the majesty of our national pastime, and then patiently explain the details of the game. The same is true of the mystery of the faith. We begin with Jesus, with the story of salvation, with prayer, liturgy, community, and the beauty of the Church. Gradually we then get to faith, doctrine, morals, practice. All of this leads me to the rosary. October, in our Catholic calendar, is dedicated to this simple prayer. Not only is the rosary a wonderful prayer, but an effective means of evangelization. And, we then know the most basic prayers of our tradition: the sign of the cross, the Apostles Creed, the Lord’s Prayer, the Hail Mary, and the Glory be. No wonder Pope Paul VI called the rosary “the school of the gospels”! Not bad at all. That’s what I mean about the basics of our faith. Nonnie, as I lovingly called her, probably couldn’t talk that much about the Trinity or the more complex moral issues of her faith, but she sure loved Jesus, knew His life, death, and resurrection, and held fast to His Mother and His bride, the Church, as she struggled through each day. 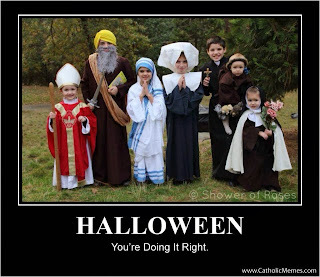 What if all of our children knew and trusted the rosary? They’d at least comprehend the “mysteries” of the life and teaching of Jesus, and would recite by heart the great prayer of our tradition. I’d settle for that! Last week, I had the honor of a private meeting with Pope Francis. There, on his desk, was his rosary, not as a paperweight, but, near at hand for prayer. As I left, he gave me one of his. When I asked his prayers specifically for Fred, my brother-in-law fighting cancer, and Father Fabian Lopez, one of our splendid young priests on a tough round three of cancer treatment, he gave me one for each of them. rosary: a great prayer, an effective evangelizer. 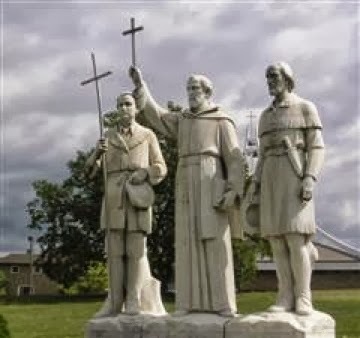 Here in the US, we celebrate today the feast of the North American Martyrs, Sts. 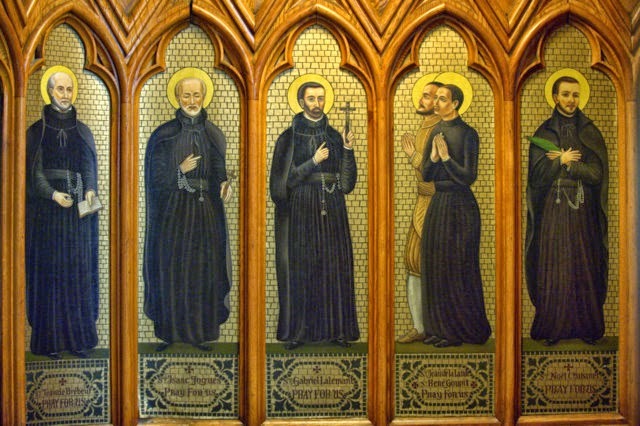 Jean de Brebeuf, Isaac Jogues and their companions! These brave Jesuit missionaries labored ceaselessly for the Native Americans of the northeastern US and southeastern Canada. 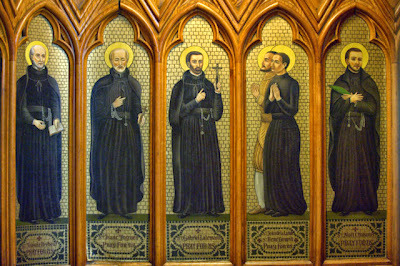 Father Jogues, Apostle of the Mohawks, was known to that people as Ondessonk, “the indomitable one.” These holy saints were brutally tortured and martyred in the mid-17th century. If you ever have the chance to visit the Shrine of Our Lady of Martyrs in Auriesville, New York, you can walk in the footsteps of Father Jogues, Rene Goupil and Jean de Lalande, on the ground made sacred by their blood. It is a journey well worth taking. St. Luke is quite special. Not only was he the only Gentile to write books of the Bible, but he was a close companion of St. Paul. If St. Paul succeeded in evangelizing the western Roman empire, Luke may have had more to do with it than we know. It is likely that God used his medical skills to keep St. Paul alive some of those times when he was beaten, stoned, or half-drowned. 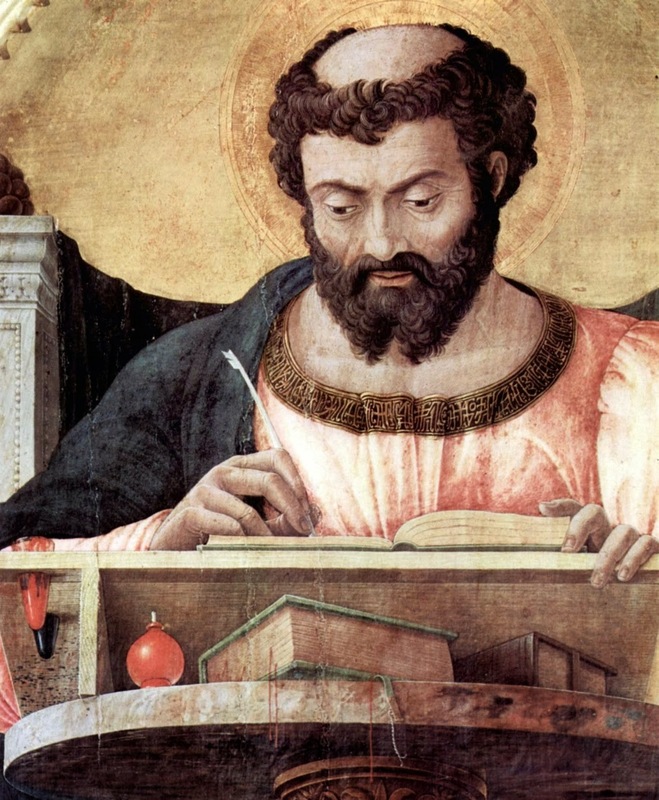 St. Luke is special, too, because he is the first Christian physician on record. Untold thousands have followed in his steps. Physicians can look to St. Luke as an example, but so can historians, because his writings are very much in the Greek tradition. Painters claim him for their brotherhood, too, because tradition holds he painted a picture of the Blessed Virgin which hung in the Santa Maria Maggiore in Rome. As a physician, Luke must have been curious about the medical conditions behind Christ's miracles. As a matter of fact, Luke uses more medical terms than any other New Testament writer. For example, he doesn't just say Publius' father was sick: he tells us he suffered from fever and dysentery. The apostle Paul told us that Luke was a doctor. In fact, he called him "dear doctor Luke." Given his use of medical detail in the two books he wrote for the Bible, The Gospel According to Luke and The Acts of the Apostles, we might have guessed it ourselves. Luke pulled back the curtain on the young Jesus more than any other gospel writer. Without him we would not know anything about the boy Jesus's thinking. It is a pretty safe bet that Luke interviewed the Blessed Virgin Mary and got most of the details from her. Perhaps he even heard the Magnificat, recorded in his gospel alone, from her very own lips. October 18 is the great doctor's feast day in churches that observe such traditions. St. Luke is patron saint of artists, bachelors, bookbinders, brewers, butchers, doctors, glass makers, glassworkers, gold workers, goldsmiths, lacemakers, lace workers, notaries, painters, physicians, sculptors, stained glass workers, surgeons, and unmarried men. Tradition tells us that St. Luke was the son of pagan parents, possibly born a slave, and was one of the earliest converts. Legend has that he was also a painter who may have done portraits of Jesus and His Mother, but none have ever been correctly attributed to him. This story, and the inspiration of his Gospel, has always led artists to his patronage of them. St. Luke traveled with St. Paul and evangelized Greece and Rome with him, being there for the shipwreck and other perils of the voyage to Rome. St. Luke wrote the Gospel According to Luke, much of which was based on the teachings and writings of St. Paul and his own experiences. He also wrote a history of the early Church in the Acts of the Apostles. He was a martyr. Today Oct. 17, the Roman Catholic Church remembers the early Church Father, bishop, and martyr Saint Ignatius of Antioch, whose writings attest to the sacramental and hierarchical nature of the Church from its earliest days. On Monday Brooklyn’s own Frank Caggiano, now Bishop of Bridgeport spoke at St. Patrick’s Cathedral Mass before the Columbus Day parade. No notes. No text. Pure heart. Click the video below. Homily begins at 22:40. In his catechesis to the gathered throng, Francis wove his reflection around the devotion that, later in life and amid a trying time, would become one of his particular favorites: Maria Knötenloserin – Mary, Untier (or Undoer) of Knots – the 17th century cult the now-Pope encountered during his brief exile in Germany in the late 1980s, introducing it to great effect at home on his return to Buenos Aires. Over recent months, the Pope's affinity for the German Madonna provided the title for Paul Vallely's exquisite biography of Francis – the most authoritative tome on the pontiff to be published in English. Then again, given the author's depth of research and contacts among Bergoglio's own, perhaps the confluence is no accident. “Mary said her ‘yes’ to God: a ‘yes’ which threw her simple life in Nazareth into turmoil, and not only once. 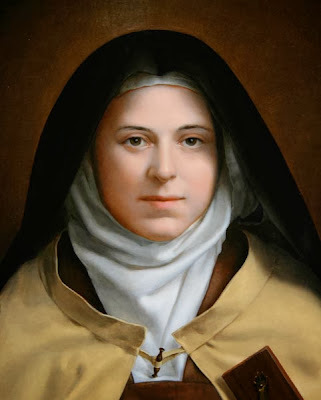 Any number of times she had to utter a heartfelt “yes” at moments of joy and sorrow, culminating in the ‘yes’ she spoke at the foot of the Cross. Here today there are many mothers present; think of the full extent of Mary’s faithfulness to God: seeing her only Son hanging on the Cross. The faithful woman, still standing, utterly heartbroken, yet faithful and strong. 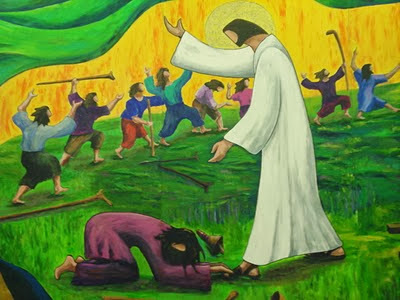 This Sunday, the 28th in Ordinary Time, brings us a familiar story from Saint Luke's Gospel, the cure of the ten lepers - only one of whom comes back to thank Jesus for his healing. The first reading of the day, from the Second Book of Kings, gives us the story of the prophet Elisha healing Naaman of his leprosy - and Naaman's request for "two mule-loads of earth." Writing from prison to Timothy, Paul speaks his faith with and eloquence enhanced by his incarceration. I never tire of reminding that the best way to prepare to celebrate Mass is to read, ponder and pray over the Scriptures we'll hear proclaimed at that liturgy. On Wednesday, October 9, in his homily at Mass, Pope Francis made these remarks on what it means for the Church to call itself Catholic. 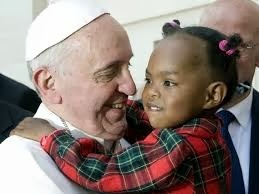 What the pope has to say about the diversity of the gifts of the Spirit in the life of the Catholic Church is especially interesting and worth our reflection and prayer. Of course, the last paragraph here needs to be understood in tandem with what precedes it. The pursuit of uniformity erodes the gifts of the Holy Spirit. 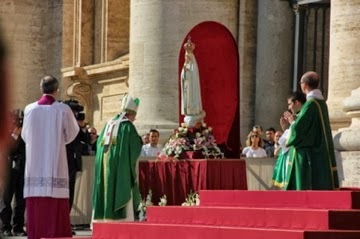 Vatican City, 9 October 2013 (VIS) – The Holy Father dedicated the catechesis of today's general audience to catholicism and the concept of being Catholic. He explained three fundamental meanings of the idea, based on the Greek “kath'olon”, “totality”, and how these can be applied to the Church. 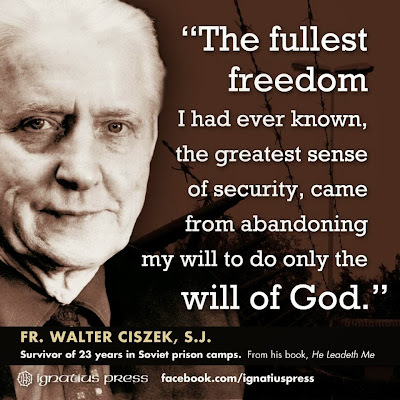 Firstly, “the Church is Catholic”, he said, “because she is the space, the house in which the faith in its entirety is announced, in which the salvation brought by Christ is offered to all”. … In the Church, every one of us finds what is necessary to believe, to live as Christians, to became holy, to walk this path in every place and in every age”. “The Church is Catholic”, he continued, explaining the second meaning, “because she is universal, she spreads through every part of the world and proclaims the Gospel to every man and every woman. The Church is not an elite group, she does not concern only the few. … The Church is not closed, she is sent to all of humanity. She is the only Church present even in the seemingly least significant parts of humanity”. With regard to the third meaning of Catholicism, the Pope reiterated how “the Church is Catholic because she is the 'House of harmony' where unity and diversity know how to come together to create richness”. The Holy Father compared this to the image of the symphony, which means harmony and accord, in which different instruments play together. Each one retains its own inimitable timbre and the characteristics of its sound, guided by a director who ensures that the instruments all play together in harmony, but that the timbre of each instrument is not cancelled; on the contrary, the special quality of each one finds its highest expression. The Church, he said, “is like a great orchestra. We are not all the same, and we should not all be the same”, he emphasised. “Each person offers what God has given him”. "the Ganges is hallowed as a sacred, cleansing river"
Some years ago there was a book called Slowing Down the Our Father by Franciscan Leonard Foley. He contended that too often, as in most memorized prayers, we simply routinely rattle through the words. Instead the author's advice was to pay attention to each word. If we pay attention to each word the words speak to us. There is an added bonus when we slow down the Our Father: we can begin to understand what Jesus was expressing "between the lines." We realize that praying for God's will to be done also implies that we do the hard work of just learning what God's will is for us and what it asks of us. All of our Marianist schools are in full swing since the hot and hazy days of the school's beginnings. 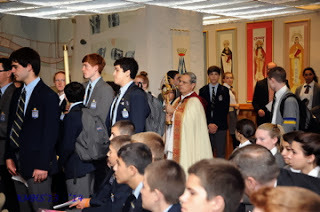 Kellenberg Memorial began its Sodality year with its Opening Prayer Service in the crowded Auditorium on Monday, October 7th. The tradition for each of the high schools is to begin the Sodality year with a Prayer Service and a procession with the Blessed Sacrament. Adoration follows in the school Chapel until 5:30 p.m.
At both schools there is Adoration of the Blessed Sacrament each Monday in their school Chapels. All are invited to pray during that time. 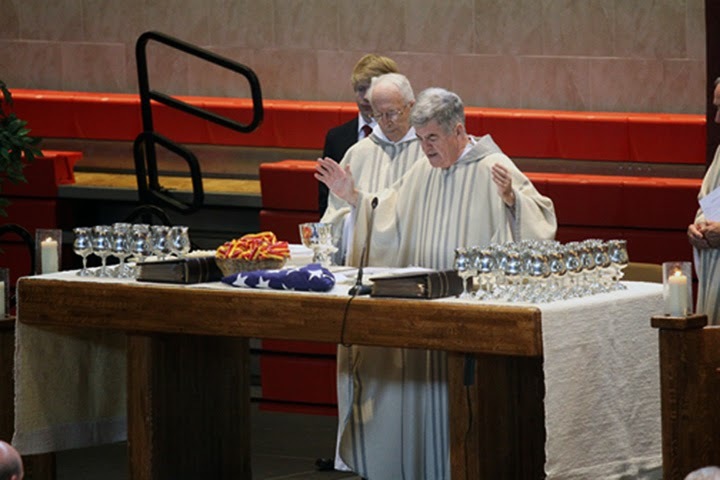 In addition, Chaminade remembered 56 honorable graduates who lost their lives while serving to protect our country at their annual Gold Star Mass. 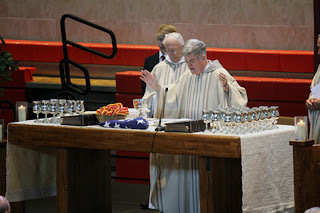 The 69th editiion of this annual Mass took place on October 3 in the Academic-Activity Center. Last October Pope Benedict XVI announced a special "Year of Faith" to help Catholics appreciate the gift of faith, deepen their relationship with God and strengthen their commitment to sharing faith with others. "It will be a moment of grace and commitment to an ever fuller conversion to God, to reinforce our faith in him and to proclaim him with joy to the people of our time," the pope said in his homily. "Faith grows when it is lived as an experience of love received and when it is communicated as an experience of grace and joy," the pope wrote. In his apostolic letter, the pope said the year's focus will be on Jesus Christ because "in him, all the anguish and all the longing of the human heart finds fulfillment." Pope Benedict said that in addition to studying the catechism and gaining a greater understanding of the creed, the Year of Faith also must be accompanied with more acts of charity. Faith helps people recognize the face of Christ in those who are suffering, and "it is his love that impels us to assist him whenever he becomes our neighbor along the journey of life," the pope wrote. A small group of our pilgrims stopped in the Basilica while touring. One of our pilgrims proclaimed the Word at the filled Basilica. Our pilgrims paused for a picture at the Basilica steps. try me, know my thoughts. lead me along an ancient path. Nudge me, and tell me the truth. And encourage me to take it to heart. Corner me and don't let me off. And bring every hidden thing to light. Bust me and I'll quickly confess. And the truth will set me free. Tomorrow is the 27th Sunday in Ordinary Time, bringing us ever closer to the 34th and last Sunday of this liturgical season and Solemnity of Christ the King on November 21 - and then, Advent! It also ends the Year of Faith proclaimed by Pope Benedict XVI. But... back to the day at hand. There's just no better way to prepare for Sunday Mass than to read, ponder and pray over the Scriptures we will hear proclaimed there. This Sunday's first reading is a lament from the book of the prophet Habakkuk. Writing at a desperate time of faithlessness and political peril, the prophet does not hold back on giving God his two cents on how he thinks the Lord is running things! The passage also includes a response from the Lord, promising that the vision of hope still has its time. 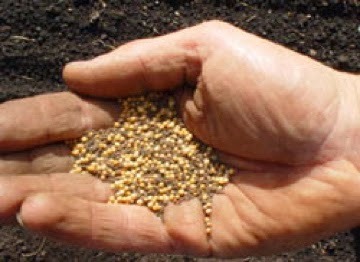 From Luke we have the parable of the mustard seed - and the mulberry bush which grows into a tree. In addition, Jesus speaks to his disciples about the kind of service he demands and expects of those who follow him. Gerard Nadal captures something I’ve been thinking for a while, but puts it better than I could. Are we only to submit to papal authority when the mood, or mode suits us? 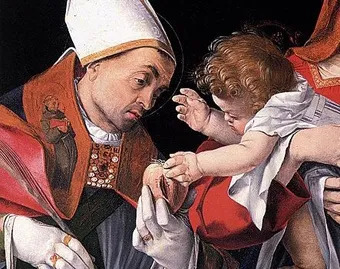 Do we place stylistic predilection over our duty to respect and obedience to legitimate episcopal and papal authority? Is our faith on the orthodox side of the aisle so fragile that we get a case of the vapors at the least departure from our preferred norm? 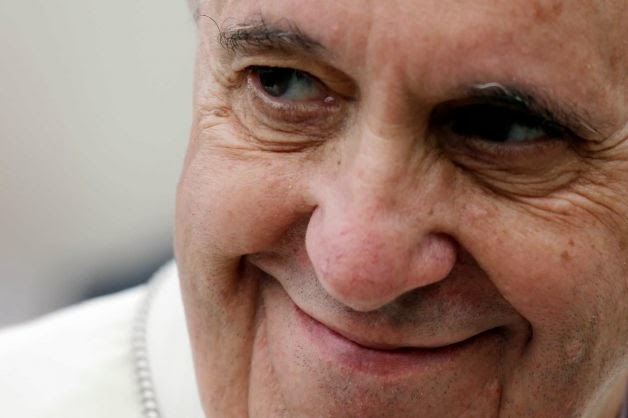 To be certain, this pope is dangerous. His style is that of…Jesus. Change is coming with this pope, much needed change. He comes from those people below the equator who have been largely invisible to us in the faithless north. He speaks for them, and from their experience of the Church. For members of the Society of Mary, October 2, 1817 is a day of celebration. 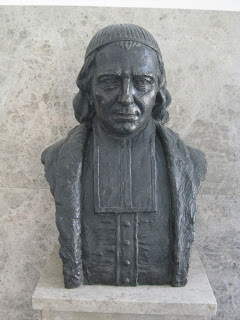 It was on this day that Jean Baptiste Lalanne and several other men met with Blessed William Joseph Chaminade to discuss the possibility of forming a group of vowed men who through prayer and living in community would be actively involved in the ministry of the Church. 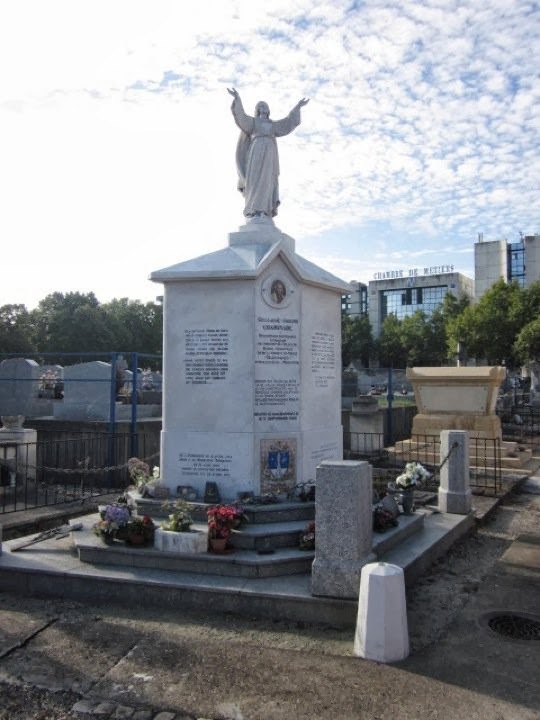 After the initial meeting, several additional men—clerics, manual workers, and merchants—joined with Lalanne and Chaminade to found the Society of Mary (Marianists). On December 8, 1817, several men made private vows and on September 5, 1818, seven men made public vows as members of the Society of Mary. So October 2 is Foundation Day for the Society of Mary. It is both the birthday of the Society of Mary and the feast of the Guardian Angels. 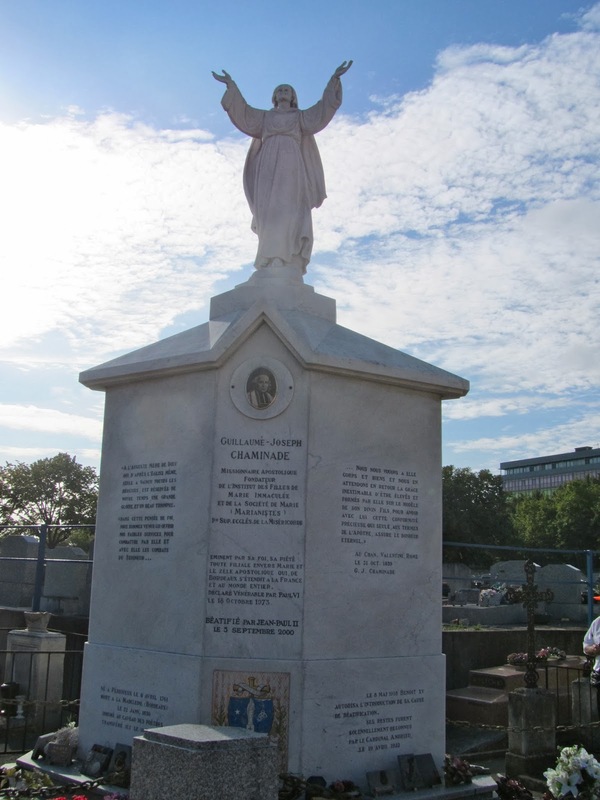 Remembering the Guardian Angels has always been important to members of the Society of Mary. Guardian Angels were seen as guardians of the students in Marianist schools. 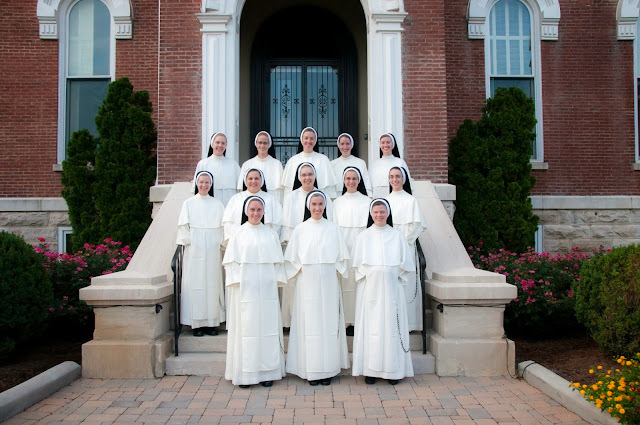 To help students behave appropriately, members of the Society of Mary were encouraged to “invoke the Guardian Angels of their pupils at the beginning of class and surveillance periods." Hopefully, the angels would guarantee that students behaved in a proper manner so as to be receptive to the classroom instruction of the Brothers and priests. "Education is a participation in the work of Mary. She is the great teacher of mankind. Her mission has been, and still is, to give birth to Jesus Christ and to rear Him….In calling us to the work of education, Mary has constituted us Her collaborators in this mission. Our pupils are Her children more than ours…and it is Her name that we ought to try to form Jesus in them. "